Child Abuse Solicitor Peter Garsden of national law firm Simpson Millar has secured £500,000 in compensation for his client, a 61 year old female who as a child endured many years of sexual and physical abuse. The case was heard against convicted child abuser Jeffrey Lake at Burnley Crown Court on 7th September 2017. The damages awarded reflect the severe psychological injuries and loss of earnings suffered as a direct result of the abuse. Jeffrey Lake, an 81 year old retired police sergeant is currently serving a jail term which began in 2013, after being convicted of 20 charges of sexual offences, most of which related to Mr Garsden’s client. Serving in the police in the 1950s, 60’s and 70’s Lake emigrated to Austrialia in 2002. Mr Garsden’s client believed Lake moved from the UK to avoid his past after she had written to him in 2001 telling him how she felt about what he done to her but she received no response or acknowledgement. Following a complaint in 2009 Lake was extradited from his home in Queensland to stand trial in the UK where he was subsequently jailed on the 18th October 2013. The court heard how Jeffrey Lake’s physical, psychological and sexual abuse of Mr Garsden’s client had occupied her entire childhood from the age of four until she married her husband when she was 18. The client who now suffers from severe agoraphobia which affects almost every aspect of her life pursued an unsuccessful Criminal Injuries claim in February 2014 which was refused because she was out of time, according to the law of limitation. 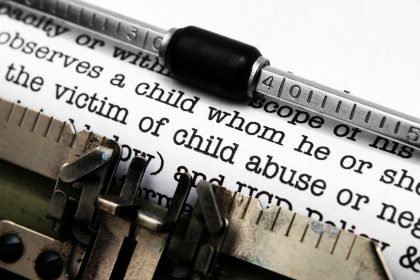 She approached the firm of solicitors after her research revealed that Mr Garsden specialised in child abuse civil action.